I first met Lorraine Wright at a Book Launch in London in 2012 where she was one of the keynote speakers on the night. I found her recent story of how she became a Director at UBS less than 5 years after graduation from London's Brunel University highly inspirational and subsequently asked her to permit me reproduce it for the benefit of my readers. Please read, be inspired and informed! Lorraine Wright, a Director at UBS investment bank, co-founder of the Young professionals powerlist Network (YPP), and founder of the multi award winning University Gospel Choir of the Year (UGCY), has not only rapidly climbed the career ladder at such a young age, but has established a UK wide competition celebrating the talents of university students across the country. Having grown up in South West London, Brixton, Lorraine splits her time between Zurich and London working full time for UBS in Switzerland whilst fulfilling her passion in running the University Gospel Choir of the Year organisation. Having attained straight A’s at A level, Lorraine went onto study Information Systems with a sandwich year at Brunel University, with dreams of becoming an IT consultant, business leader and project manager. Whilst her peers searched for roles for their year in industry via the internal careers service, Lorraine thought outside the box. By searching independently she managed to land herself an internship in project management with the Volkswagen head office. As her first taste of professional experience Lorraine fully immersed herself in the world of work soaking up all she could, (as well as making mistakes along the way!) Not satisfied with 12 months in industry with just two months left to spare before her return to university, Lorraine was one of the lucky few who secured a summer internship with a top management consultancy firm – Accenture, who subsequently offered her a graduate position. 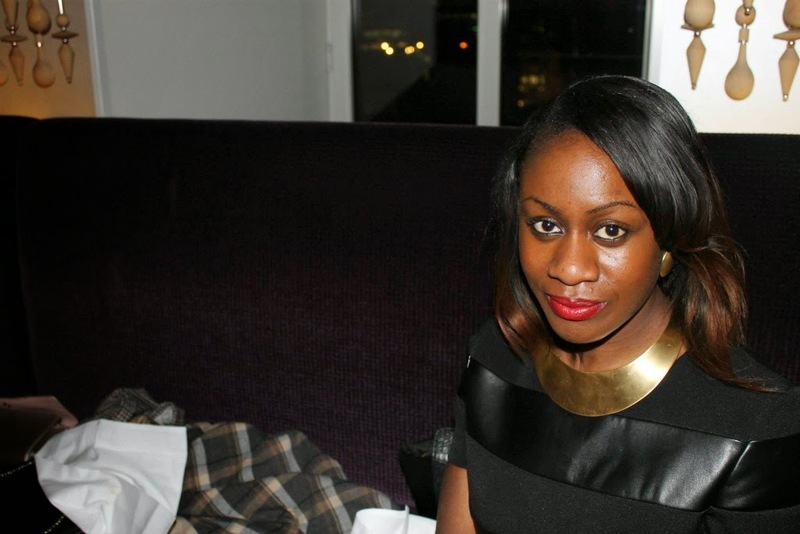 Graduating in 2009 with a 1st class, Lorraine was eager to begin work at Accenture. Unfortunately, due to the recession, things took a different course and she was unable to start her role for another year. Lorraine took the opportunity to work as an IT project administrator/manager at a small technology company in London and obtained her PRINCE2 project management qualification. Unsatisfied with working in the UK, Lorraine landed a role working as an IT project manager for a distribution company in Chicago USA. Upon returning to the UK, Lorraine took up her graduate position with Accenture where she was rapidly promoted to a consultant within a year. In her client-facing role, she was subsequently headhunted by her client UBS, and joined them as a permanent employee in 2011. In March 2014, Lorraine was promoted to Director, and is currently on a secondment in Switzerland, leading one of the bank’s strategic group wide IT programs with a 50m CHF budget. Alongside her day job Lorraine runs University Gospel Choir of the Year (UGCY), together with a team of 12, they seek to provide an unprecedented platform for UK university gospel choirs to showcase their talents on a national scale. Since its creation UGCY has held three annual competitions celebrating the talents of 1000+ individuals from various universities across the UK. UGCY works with ITV’s the X-Factor as the exclusive supplier for backing choirs and has done so for the past three years. They have provided opportunities for gospel choirs at corporate events (e.g. Deloitte), on radio (e.g. BBC London), National TV (e.g. ITV News), as well as features in ITV’s “Your Face Sounds Familiar”, and in July 2013 featured in the first ever BBC Gospel Proms, broadcasted live on BBC Radio 3. Alongside all this, Lorraine is a devoted Christian actively engaged in her church in Zurich and London, is studying German, and currently exploring business and investment opportunities. When I first entered Volkswagen I wanted to run before I could walk simple because I had three A’s at A Level. I remember one of my first “telling off’s” by my manager. He sat me down and said, “You need to learn to walk before you can run…you are in a safe environment, take your time and make mistakes”. At the time I thought he wanted to suppress my desire to do other things in my role, but that conversation taught me my place in the pecking order, and that good things come to those who wait. Six months later I was given my first project to run. When I first entered Accenture I wanted to run before I could walk simply because I had a first at University. I learnt that there are always people with more fire, desire and intelligence than you. The only way to succeed in that environment is to take a step back and observe their successful traits; with time you begin to emulate them naturally. When I first entered UBS, I wanted to run before I could walk, just because… well… just because I thought I could! On each occasion I failed to realise that even though it was my nature to want more I needed to prove myself to peers and management alike. This is something I had to come to terms with. They did not know me nor did they know what I was capable of. I would encourage everyone to take the time, be patient, learn the business you are operating in, learn the traits of the people around you and then subsequently, learn to carve out your own niche. Cast your mind back to school when a kid would give a teacher an apple (and others would laugh). Although they “claim” there is no favoritism in school I believe when there is a personal connection it is human nature to judge with subjectivity, and so it’s more likely those kids would get the better marks. I’m not saying the apple outweighed their work, completely the contrary, it simply “enhanced it” – the foundation was there already. The same is true (in my opinion) in the working world. On each occasion I was promoted I had worked to remain close to people who had the power to make that decision. You may not see them on a daily, weekly or for that matter monthly basis. I would tend to go out of my way to have 1 on 1 meetings with them; being transparent about what I had achieved and offering my support for things that could help them. At times I would send Christmas greetings to remain on their mind, or would take arising opportunities to socialise with them. Do not underestimate the power of socialising with your superiors! Becoming a shareholder not only allows you to earn dividends but forces mindset change. A shareholder means you legally own a share in the company, and you are therefore internally motivated to do all you can to be successful. Before I became a shareholder I heard colleagues say, “As a shareholder, I would not like to see that happen”. At the time I thought “really?” What difference would that make to your pocket, and then I became a shareholder and things changed. When you are doing well and those around you are too, the company does well (and you see the dividends). It is that mindset that helps you in your daily job. You will start to question your decisions asking will this benefit my company. When the answer is yes you inevitably do the right things and the right things get noticed. UBS’ head office is in Switzerland and the decision makers reside there. For some time I was asked to relocate to Switzerland and turned it down for fear of not being able to closely manage my social enterprise, for fear of not finding somewhere to get my hair done, for fear of loosing my friends in London, and for fears that I would not make new ones. I compromised with my boss saying I would go for two months; 14 months later I am still here. Quite frankly staying on was the best decision I have made. I got to understand how the business operates, grow my network, be close to the big bosses, develop my cultural awareness, and to add to that it has been financially beneficial. I believe if I had not made the move I would not have been promoted in such a short time frame. Try to get involved in activities outside of your normal day job. At Accenture my accelerated promotion was not only down to my work but the countless extracurricular activities I was involved in: Including the African Caribbean network, supporting with resource management for the capital markets business line, as well as supporting with orientation for new joiners. The more you do, the more people see you, and the more likely they are to remember you when it comes to promotion decisions. Me being me I cannot end with just five tips so here are, in short, some other tips: make your boss look good, find someone who you aspire to be like and emulate their habits, grab opportunities as they come, and lastly HAVE FAITH!